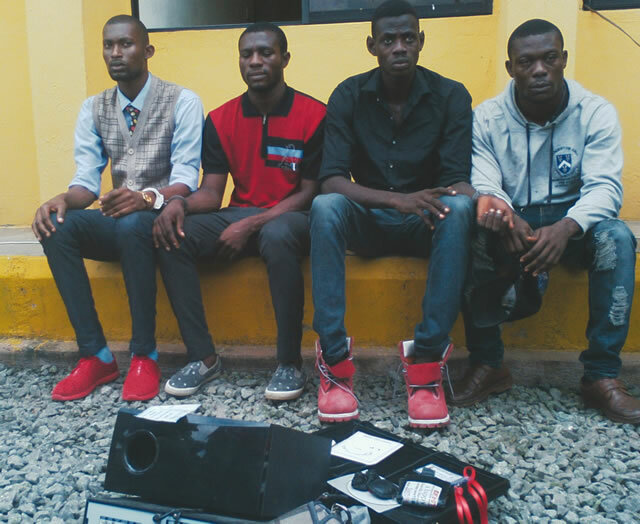 A drama played out at the Abia State Police Command headquarters in Umuahia when some suspected cultists accused one another of owning a gun. The suspects, four in number, literally divided themselves into two groups, with each group insisting that the gun in question belonged to the other team. 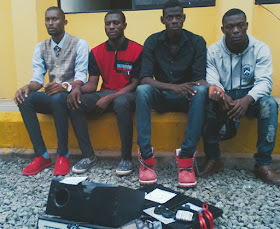 The suspects were two kinsmen, Okoye Simon and Charles Okeke, who are from Anambra State and other were roommates, Udu John and Aigbemen Eromoselem, all students of a private polytechnic in Aba, Abia State. Simon claimed John handed over his bag to him, saying, “The day we were writing our final examination in school, John gave me his bag to hold for him. Okeke who saw him give me the bag, rushed in immediately and persuaded me to open the bag to be sure of its content; but I said I would not open the bag. “He asked me to report to the security officers that the bag belonged to John because he was suspecting something. When we went to the security man in front of the examination hall, he touched the bag and asked me to follow him to the security post. It was gathered that John, thereafter, insisted that he did not give his bag to Simon and that he kept it in front of the hall before going in for his examination. He alleged that Okeke had been threatening to deal with him because of unresolved differences between them since their first year. John said, “I kept my bag where the school authority asked us to be keeping our bags before entering the examination hall. I did not give it to anybody to hold for me and I don’t know anything about the gun inside the bag. It is Okeke and Simon that were found with the bag and the gun inside it. A police source told Southern City News that items recovered from the bag included one locally-made double-barrelled gun with two live cartridges, a sticker of the Black Axe cult group and charms.